Welcome back as we wrap up this week’s Countdown! If you missed the previous songs, you can still check out songs 40-31, 30-21, and 20-10. I’ve been surprised at how much I’ve been liking the songs this week. Since I was so young when these songs came out, I had not heard of most of them. Luckily, I have discovered some really good music. As we hit the Top 10 songs of the week, I am very familair with most of them. But there are still a few that I didn’t know. So, the surprises continue. Now, let’s Return to the week ending January 5, 1980 and wrap up the countdown! Before I started going over the countdowns this past year, the only thing I knew Cliff Richard from was the duet he did with Olivia Newton-John from Xanadu, “Suddenly.” Since then, I discovered that he was a pretty big star in the late ’50s/early ’60s, until the Beatles came along. Then he fell off the face of the earth until the late ’70s. He’s been on several of our countdowns, and I’ve liked every song by him so far. And this song is no different. This song was Cliff Richard’s biggest worldwide hit. Tt hit #1 in Germany for 5 weeks. It peaked at #7 here in the U.S. Since this song hit the charts in 1979, and is still here in 1980, Richard became the first person to reach the Hot 100’s top 40 in the 1950s, 1960s, 1970s and 1980s. One more fun fact about this song – it was the 6th video that ever aired on MTV, on August 1, 1981. “Celebration” was the song that introduced me to Kool & the Gang. But before that, they had a hit with this song, which I discovered years later. This is a fun Disco/Funk song. This is another song that I never heard of until years after it was released. This is probably one of the best storytelling songs I ever heard. All it needs is a fiddle, and it would be a perfect Irish folk song. Rogers tells the story so well that you can see the movie in your head. And you’re pumping your fist in the air for Tommy by the end of the song. This is one of my favorite Commodores songs. It would be the band’s last #1 hit before Lionel Richie went solo. With this song, you could see the writing on the wall that Lionel would be able to go out on his own and have an incredible career. Wow, two great ballads in a row! 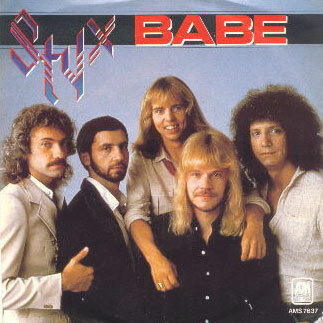 This would be the first, and only, #1 hit for Styx. Dennis DeYoung wrote this song as a birthday present for his wife Suzanne. I had not known that Captain and Tennille went into the ’80s. I knew them from their ’70s variety show. By the late ’70s their popularity was gone. But, “Do That to Me One More Time” was a big comeback hit for them. Unfortunately, they weren’t able to capitalize on the song’s success. It would go on to be their final #1 hit. This is a song that I didn’t know from just looking at the title. But, as soon as I started playing it, I recognized it. 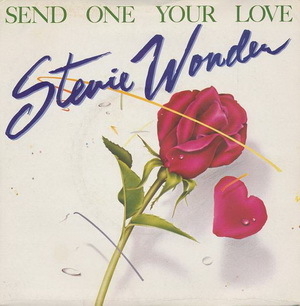 I have it on a Greatest Hits album by Stevie Wonder. This isn’t one of my favorite songs by his, which explains why I didn’t remember it at first. It is better than a lot of his other songs, but there are many more that I like better. Now, let’s take a moment to see what was topping some of the other music charts this week in 1980. 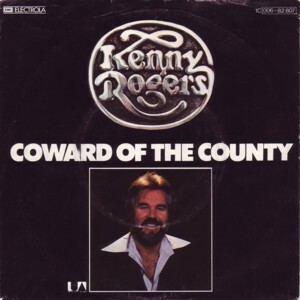 The #1 Country Song is “Coward of the County“, which we just heard at #8 on the pop charts. The #1 Dance tune is “The Second Time Around” by Shalamar with the lineup that includes Jody Watley. The #1 Album this week is On the Radio: Greatest Hits Volumes 1 & 2 by Donna Summer. Classic song from Michael Jackson’s Off the Wall album. A week earlier, this classic was the #1 song, making it the last #1 song of the ’70s. The song was popular as soon as it was released. However, the name was just “Escape,” so it was not selling very well. The only words that everybody knew from the song was blah-blah-blah, IF YOU LIKE PINA COLADAS and getting caught in the rain, blah-blah-blah. 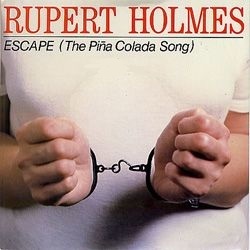 So reluctantly, Rupert Holmes agreed to change the name of the song to “Escape (The Piña Colada Song)”. Then it shot up the charts. And we have reached the #1 song of the week, which I never heard of before. Even after listening to it, I still didn’t remember it. The first #1 hit of the ’80s was KC and the Sunshine Band’s first ballad. In the coming weeks, the group broke up and Harry Wayne Casey went solo. That wraps up this week’s countdown. Wow, I guess the ’70s really were wrapping up. In this list alone, we heard songs which were the last #1 hits for The Commodores with Lionel Richie, The Captain and Tennille, and KC and the Sunshine Band. I hope you enjoyed this week’s countdown as much as I did. We are going to keep them coming during the year. In the meantime, Keep your feet on the ground, and keep reaching for the stars. I was going to say that this had to be the last run for Captain and Tennille, then I saw the postscript. I think that Jackson guy might do a little more in the 80s, though. Wow, this one’s as good as yesterday’s list! And I love the #1 dance tune as well. Early Shalamar was awesome.